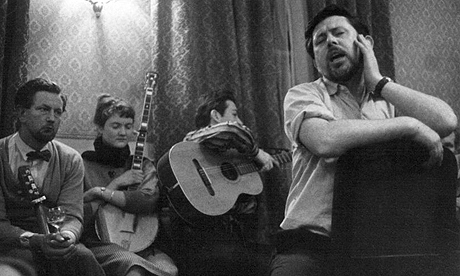 In the 1950’s, Alan Lomax travelled througout Europe and made his home in London. 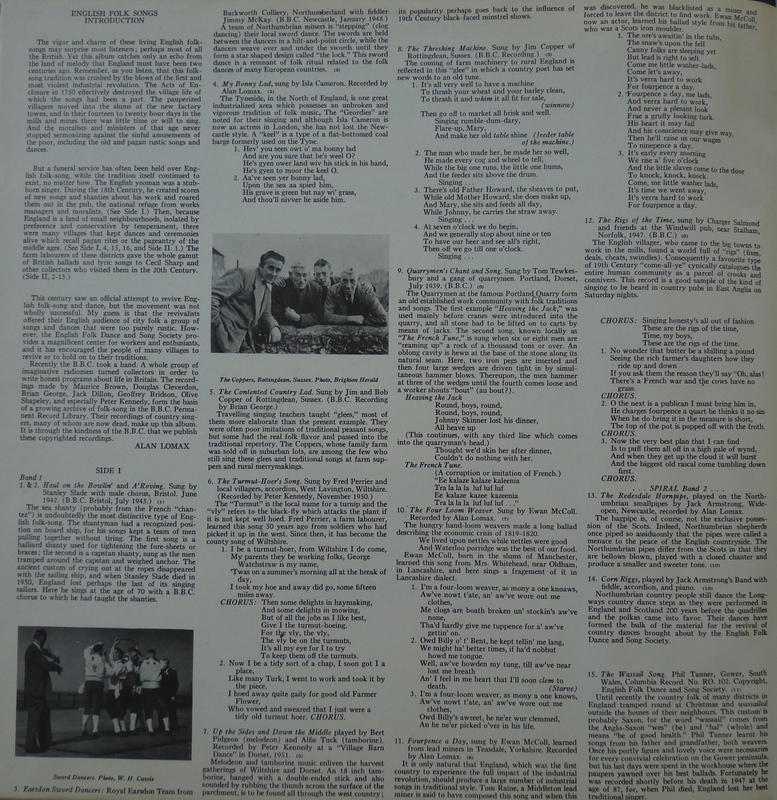 There he assisted and had an important role in a “Folk revival” parallel to the one happening in the United States. 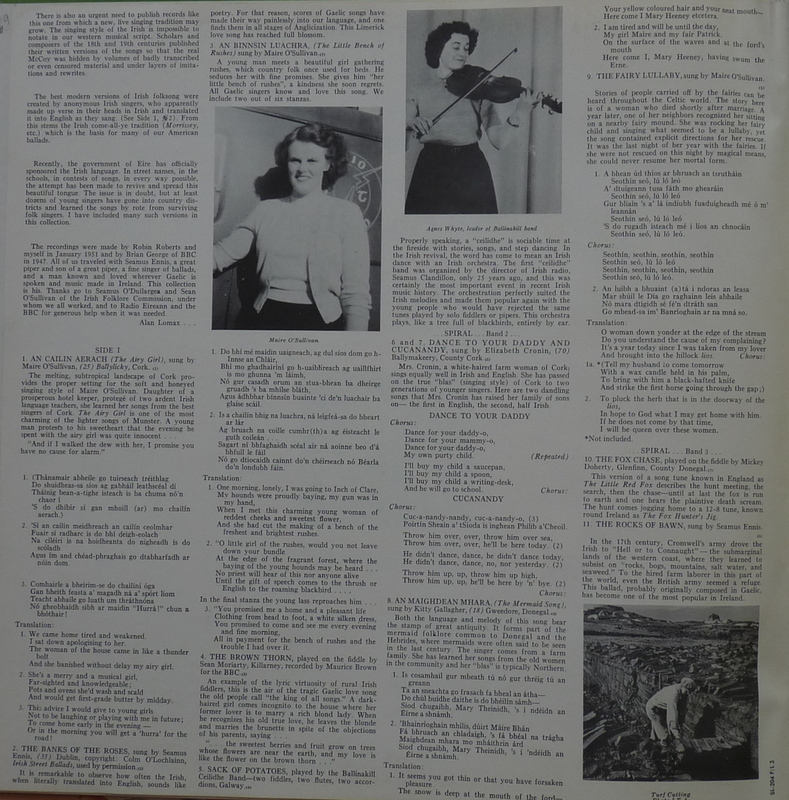 Many young English of this time were deeply moved and influenced by American Folk Music, through concert performances, radio and records. 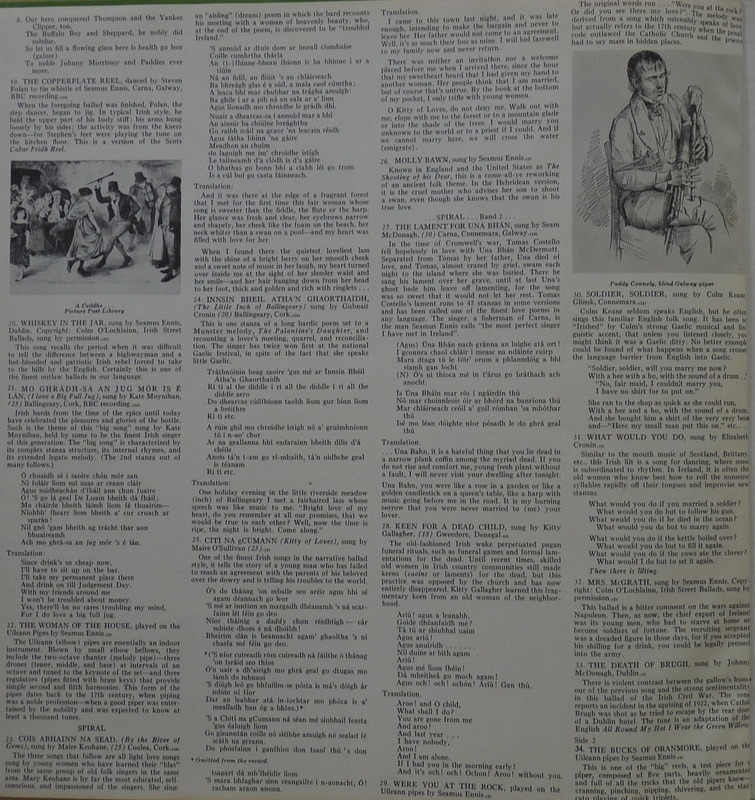 The “Skiffle” craze of this years introduced the folk songs and Blues songs of America in a way The Kingston Trio and college folkgroups presented them to a wide young audience in the US. 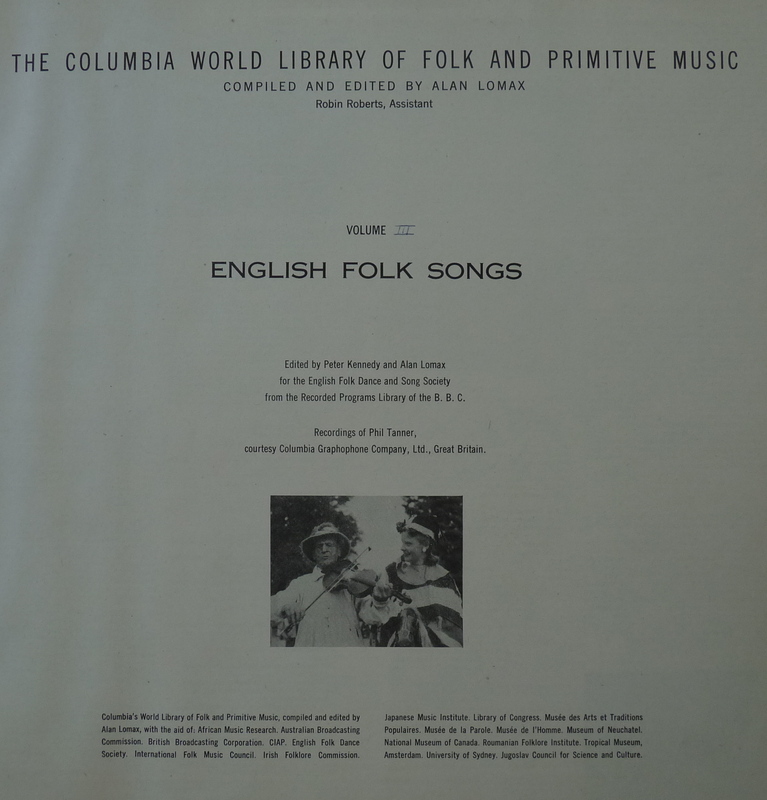 After American Blues and Folk gave the impulse to take the guitar and sing, many searched for their own folk music and soon an “English folk revival” was on his way and once again, Lomax had a vital role in this. 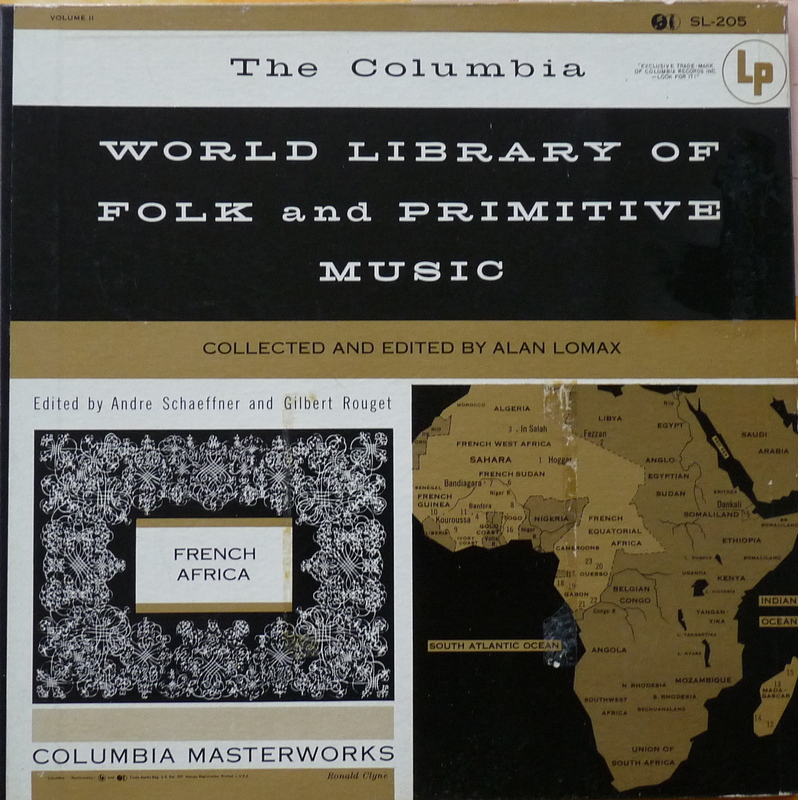 For this second volume of the World Library, we make a tour of what was called “French west Africa” and also the island of Madagascar. 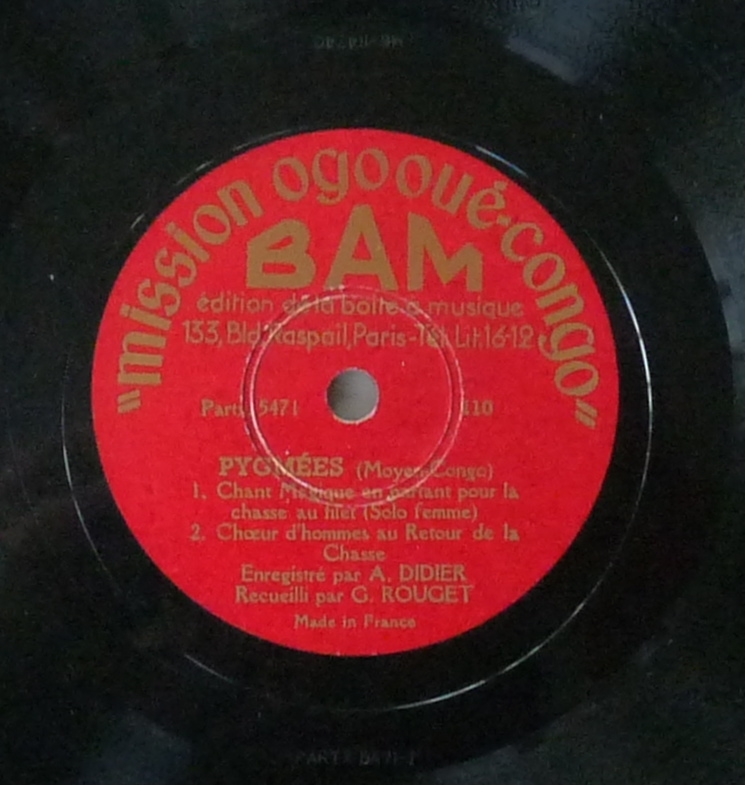 These recordings were made in by french explorers and ethnomusicologists between 1931 and 1950. 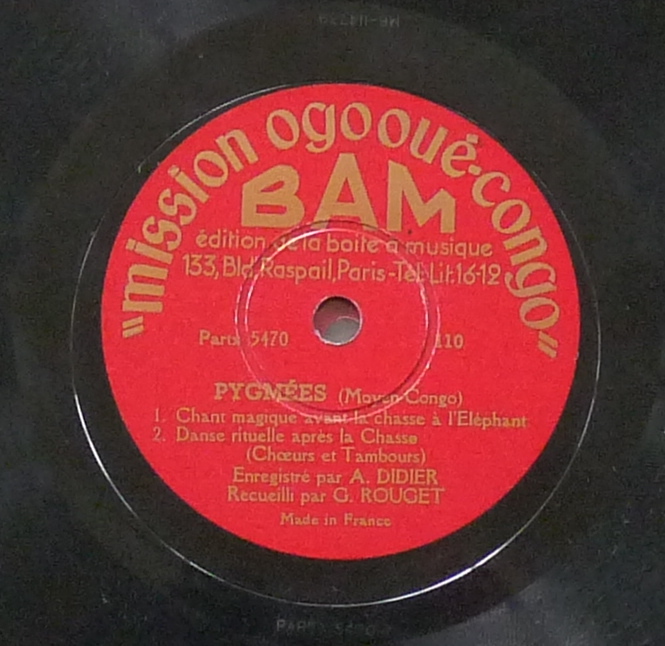 The territories visited included (in order of appearance on the disc) the Sahara desert, Upper Volta (Burkina-Faso), Somalia, Niger, Sudan (Mali), Guinea, Madagascar, Togo, Gabon and Congo. 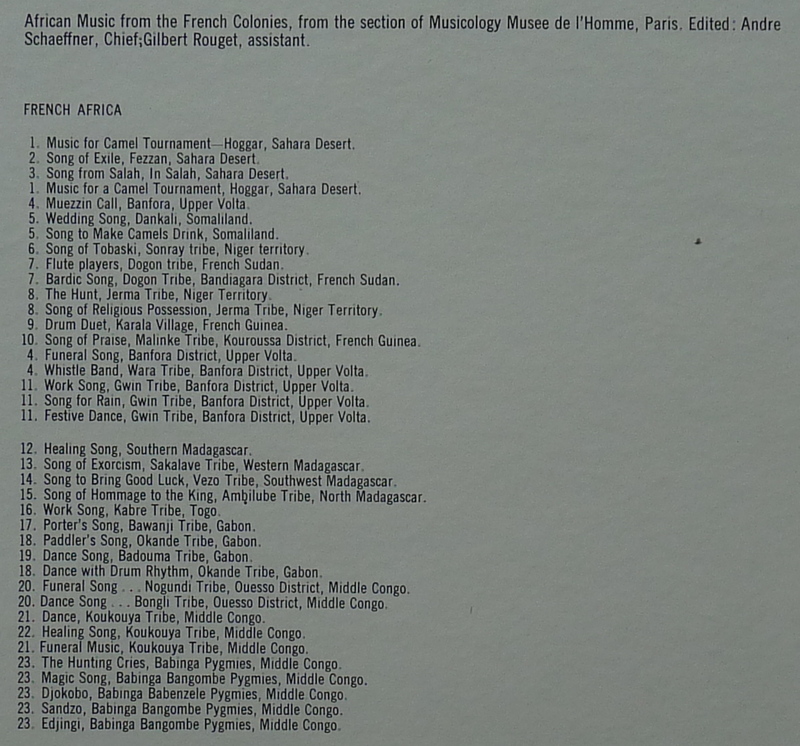 Most of these countries were under colonial rules by the french until the 1960’s. 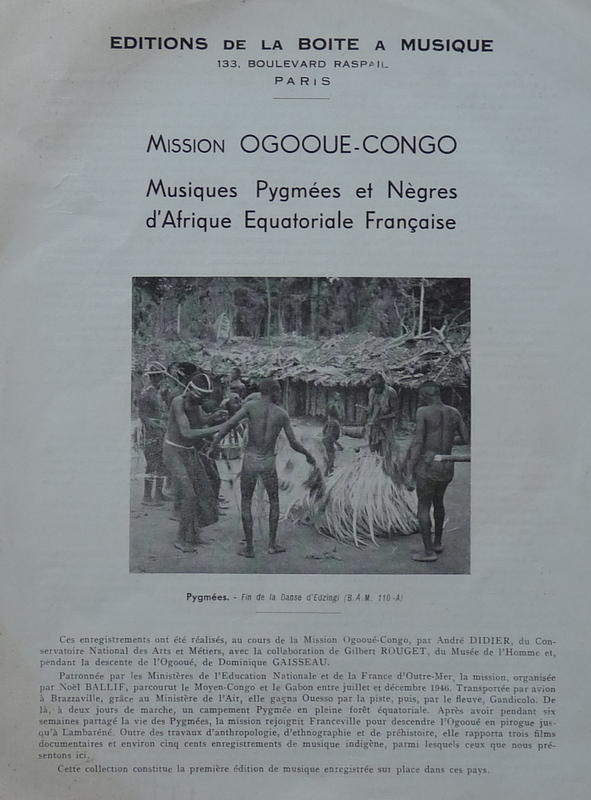 André Schaeffner and Gilbert Rouget were both working in the musicology departement of the “Musée de l’Homme” in Paris and made many expeditions in Africa to record music of different tribes.The french filmmaker Jean Rouch contribued also many fine recordings. 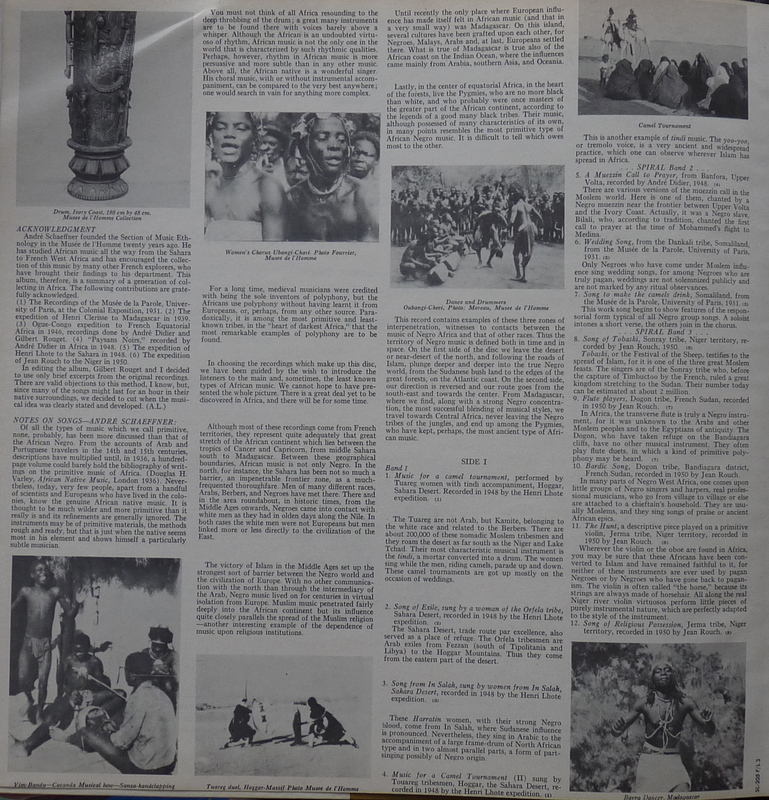 At a time where most people in occidental countries knew almost nothing of african tribal music and often despised it or had a reduced view about it, they made important studies to extend the knowledge and appreciation of the beauty and richness of this music. 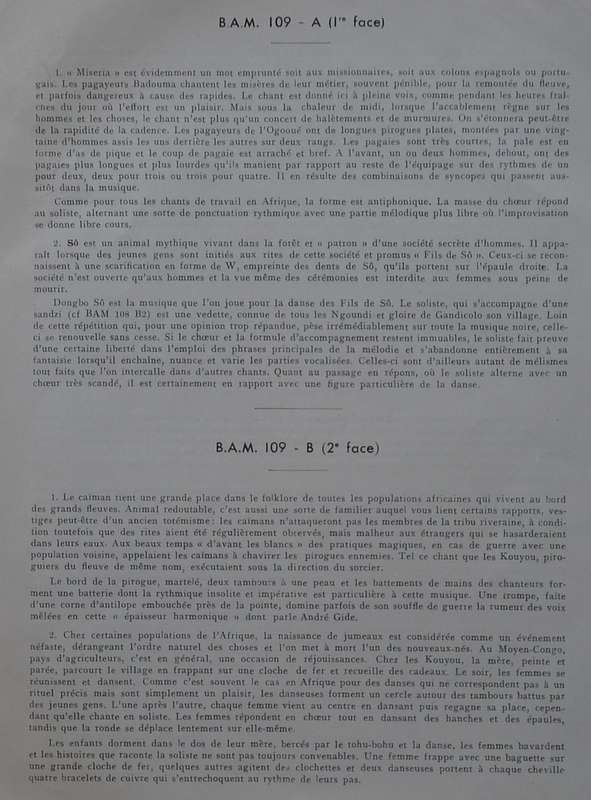 The discovery of this culture influenced many artists in France, in particular the “surealist movement”. 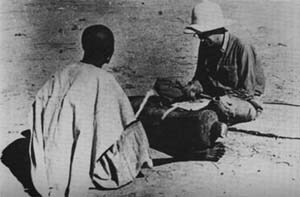 Many poets, musicians, philosophers were deeply moved by this “primitive” world and its strange and beautiful means of expressions. 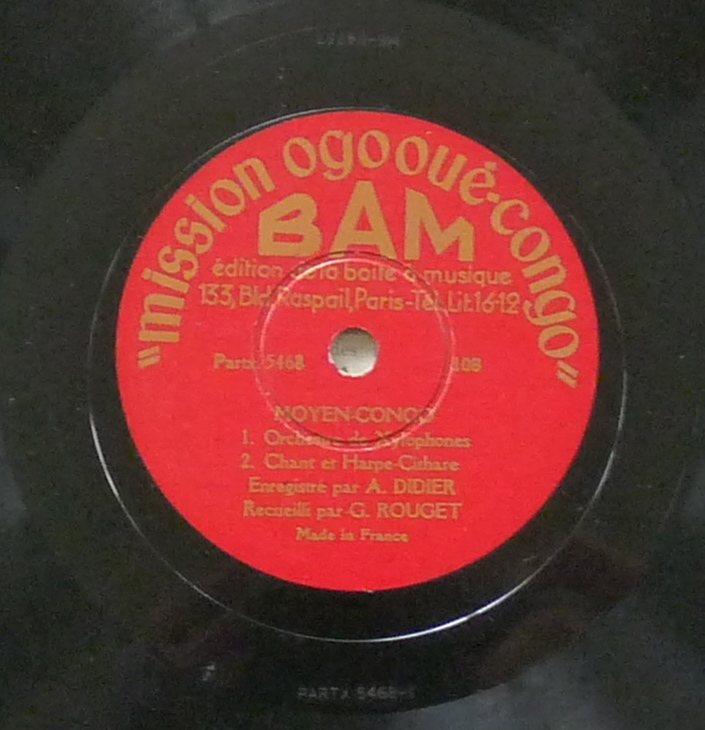 -In addition to the recordings below, i’d like to add some 78rpm records from my collection that were recorded during an expedition in 1946 made by André Didier, Gilbert Rouget and Domnique Graisseau. 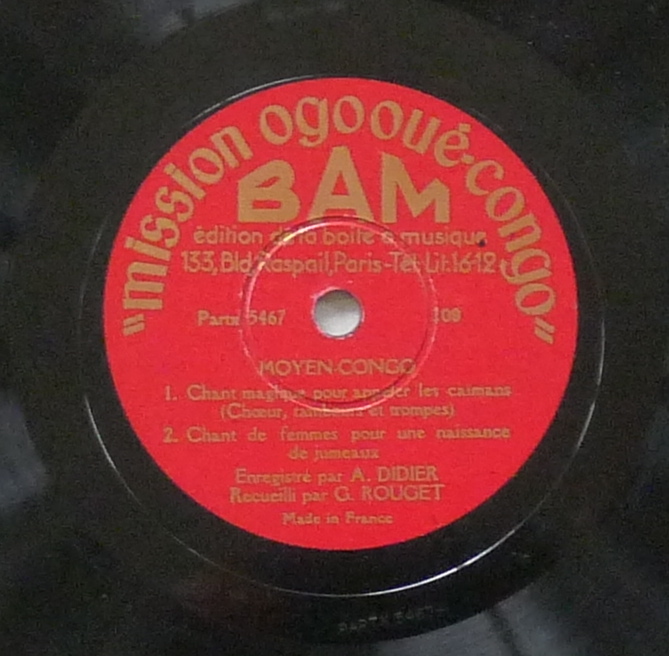 Called “Mission Ogooue-Congo”, it’s the first “field recordings” made in “Pygmy” country”, in the heart of the equatorial forest, along the big Ogooue river crossing middle-Congo and all the Gabon country. 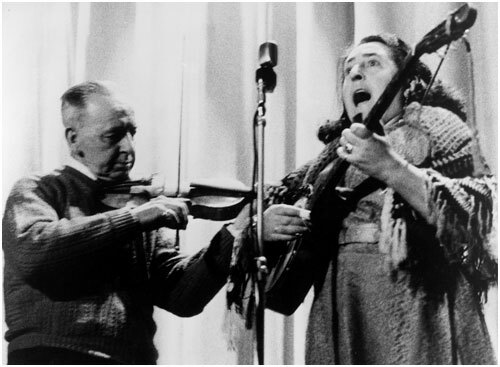 Duuring this trip, three documentary films and 500 recordings of music were made. 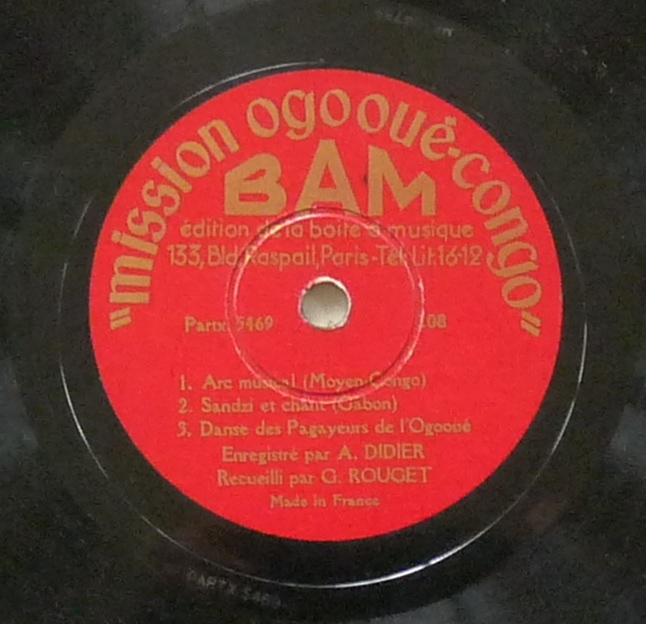 Some excerpts of this recordings were released on discs during the early fifties on the french label “La Boite à Musique”. 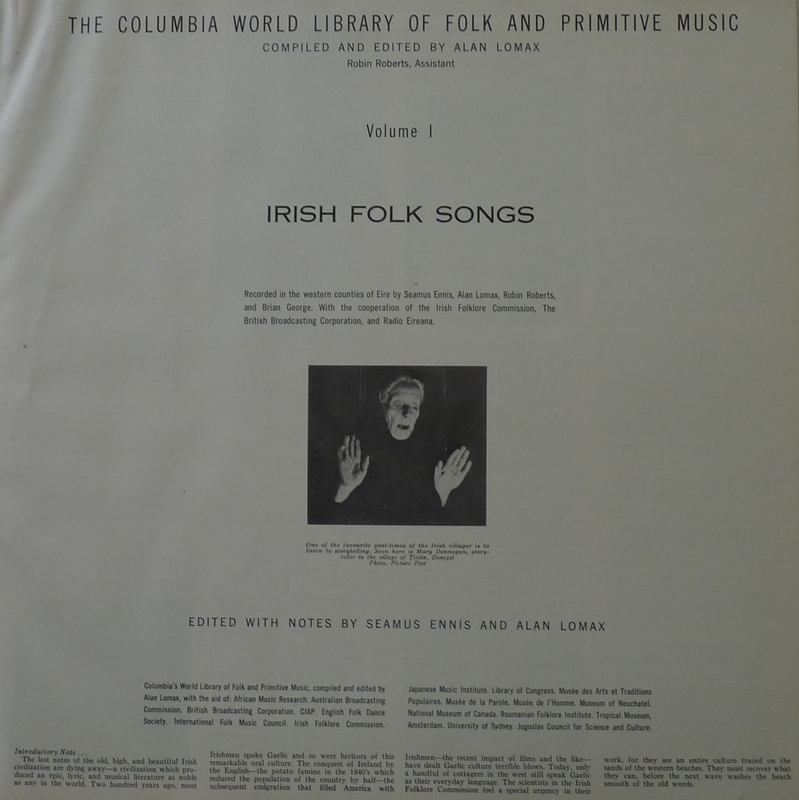 The three discs presented here contains some fines examples of instrumental and vocal music. 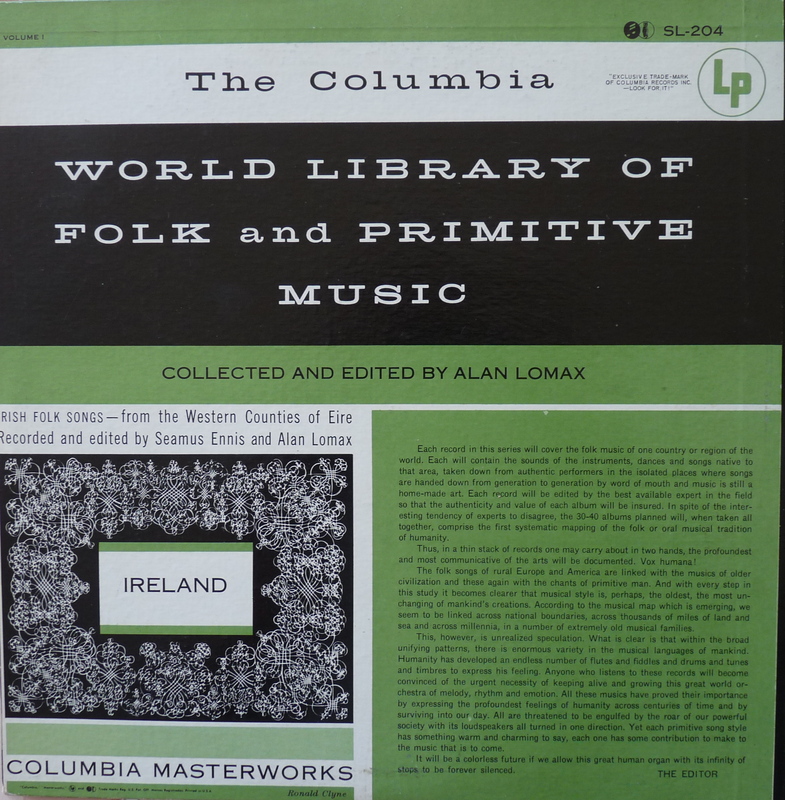 One of the most famous field-recorder and folklorist is without a doubt Alan Lomax. 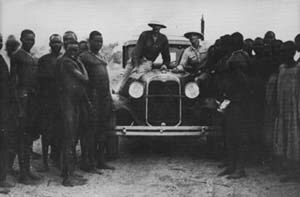 Born in Texas in 1915 and son of the pionneer american folklorist John Lomax, he devoted his life to record traditionnal music “in the field”. 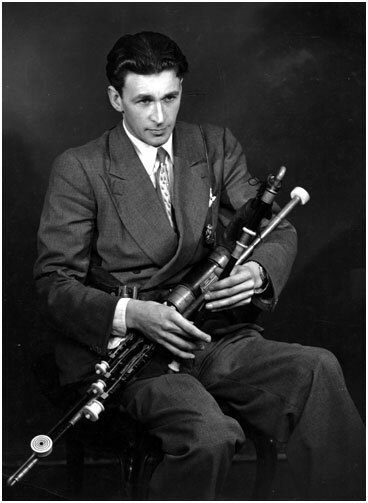 First with his father and after on his own, he documented extensively music of the American South, working for the Library of Congress of Washington. 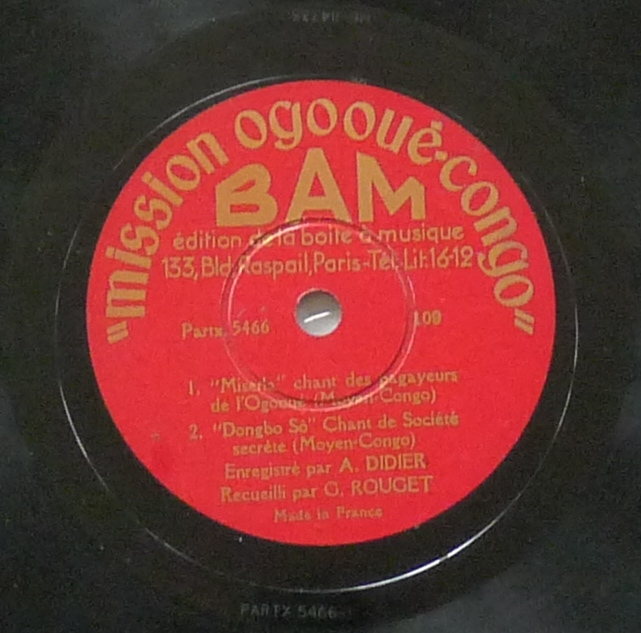 His work on african-american musical traditions is well known for example. 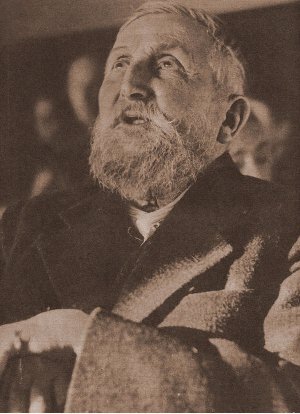 In the Fifties, during the “Red Scare”, he preferred to leave the U.S to live in Europe and made field-trips to Spain and Italy. 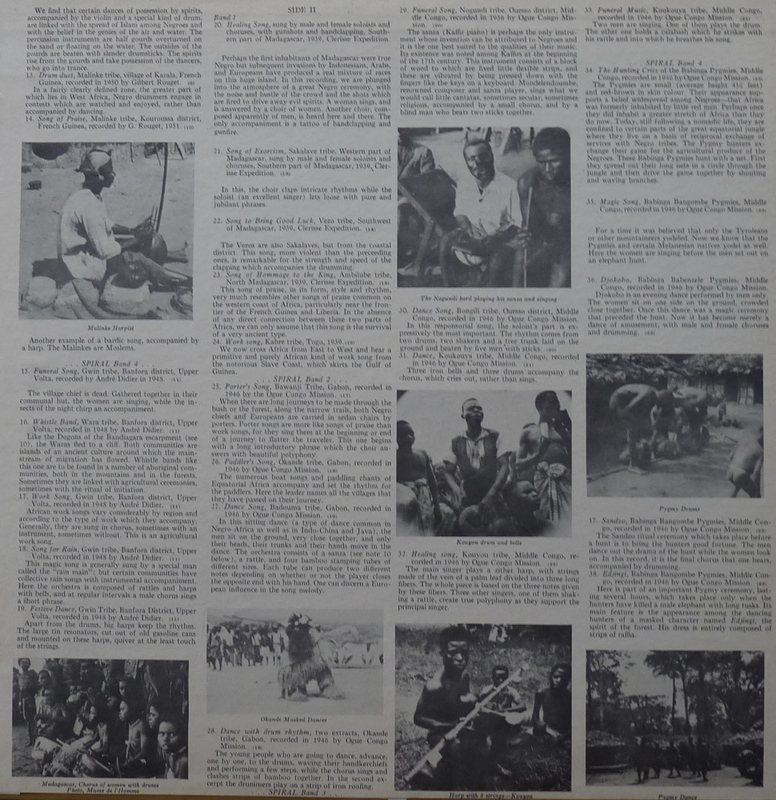 It was during this period that he had the idea for a serie of lp records that would document the world’s musical traditions. 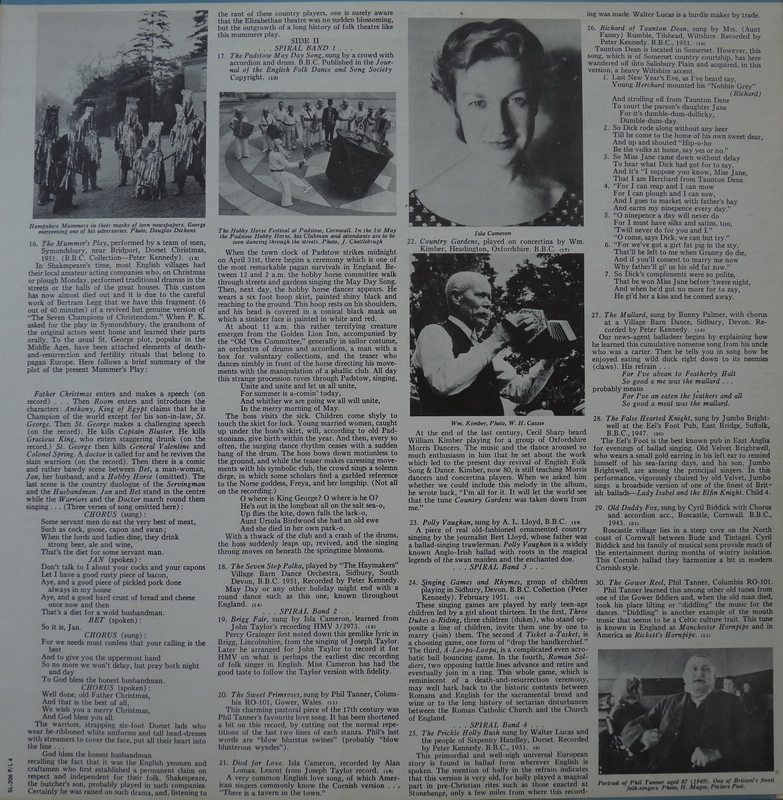 He proposed the idea to Goddard Lieberson, president of Columbia Records, that agreed to issue what he collected. 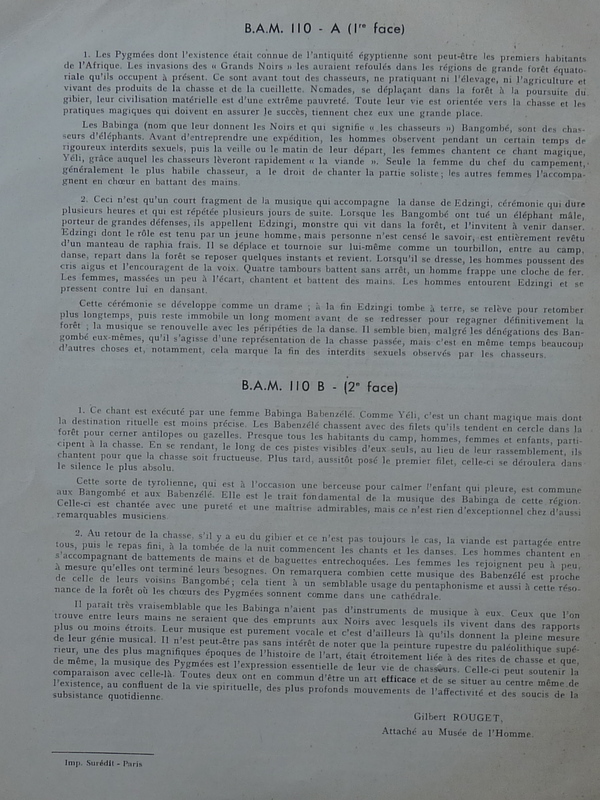 During the fifties he contacted many folklorists around the world, asking them to collaborate to the serie. 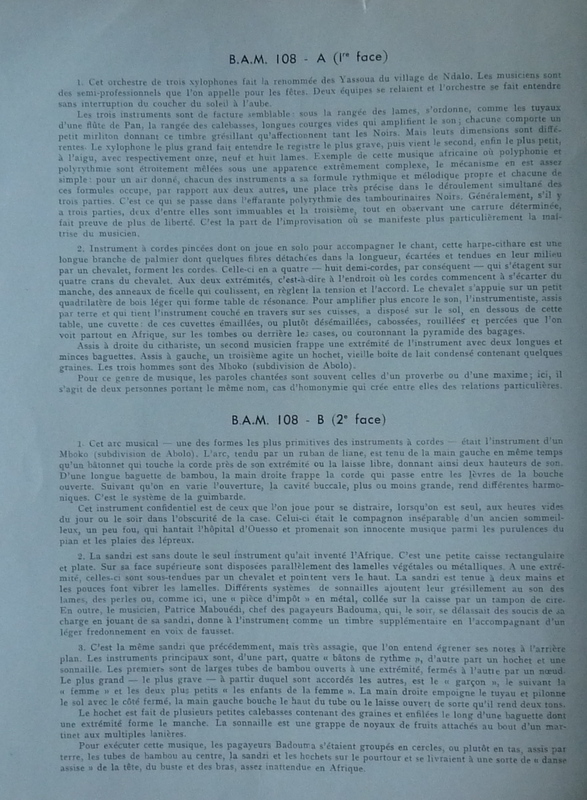 In fact, apart from the British Isles, Spain and Italy volumes, his work was just as editor of the whole serie. 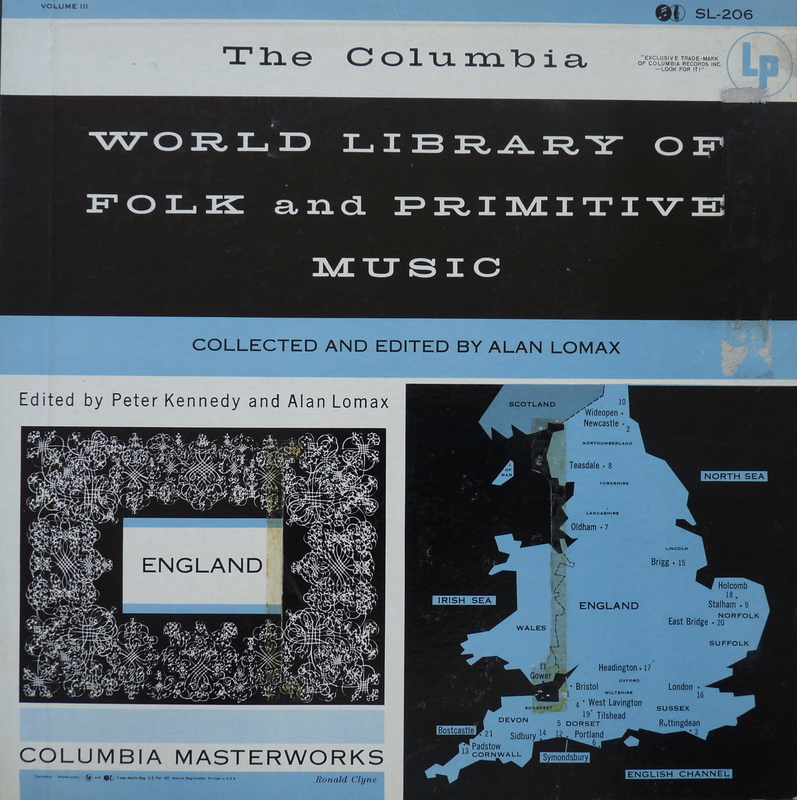 Columbia records issued 18 volumes between 1955 and 1964 (more than 40 volumes were planned in the beginning) under the title “World Library of Folk and primitive Music”. 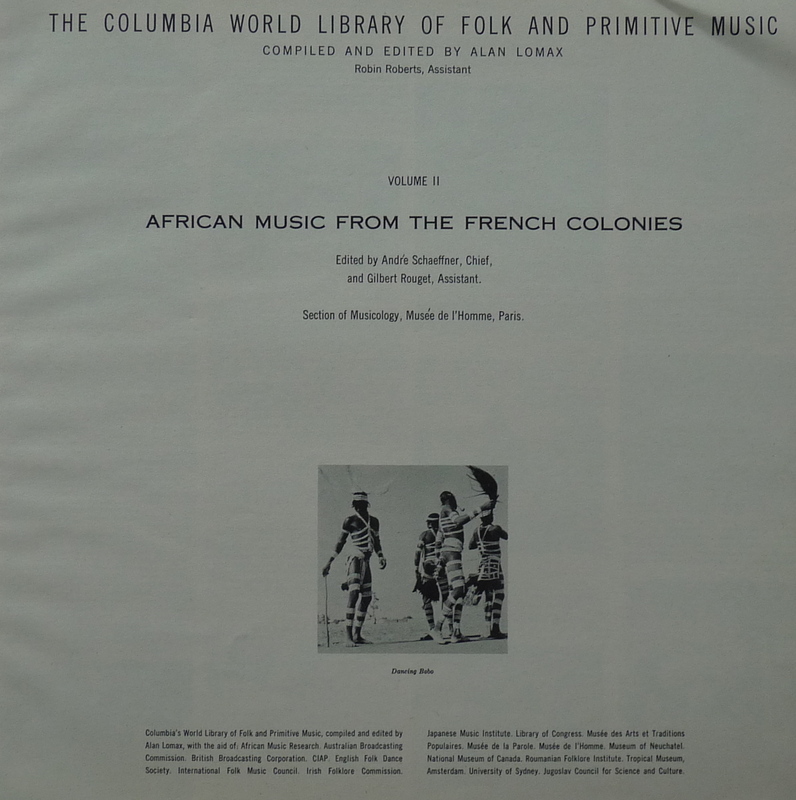 Apart from the pioneering work of Moses Ash with Folkways records, this was the first time that “World music” was presented on long-playing records with documented notes and pictures and many other collections would follow in the same vein afterward. 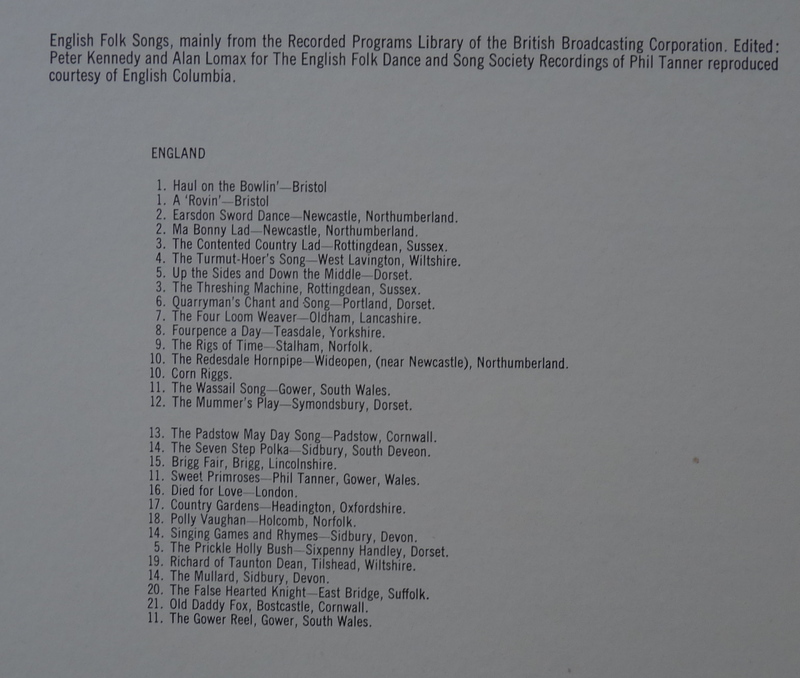 Rounder Records have re-issued in the last years some volumes on cd, along with many other important Lomax recordings but even on cd, some volumes seems to be out-of-print. 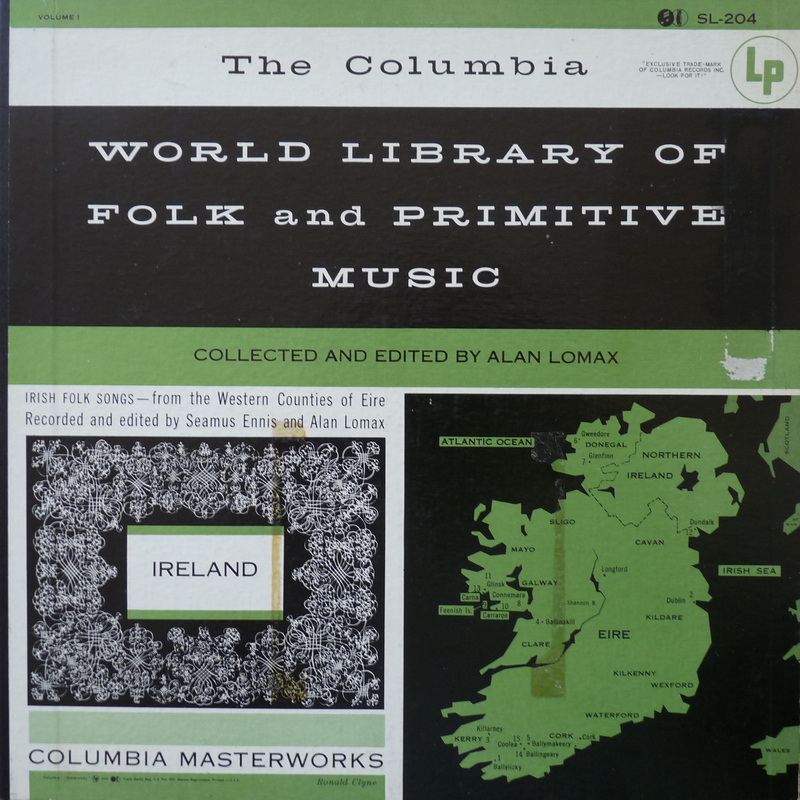 -In the next few months, i would like to present this important collection and give you the opportunity to hear most of the recordings issued as “The World Library of Folk and Primitive Music”. 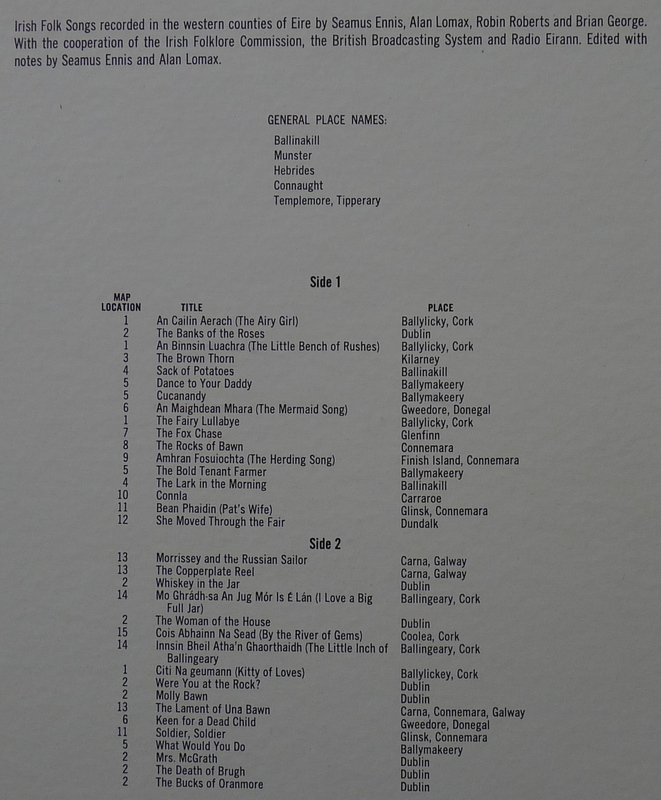 I don’t have all the 18 volumes, but for now i have 11 volumes on lp and 3 on cd. 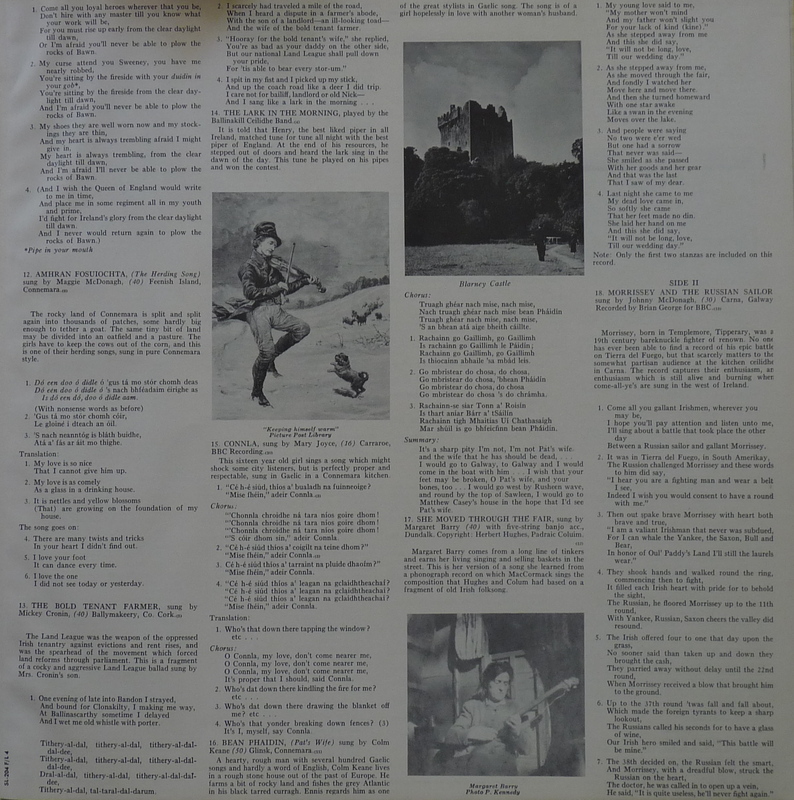 I will present briefly each volume i have, digitalize the ones i have on vinyl, and give some pictures of the records along with the liner notes. I hope it will be a fascinating and enjoyable trip for all of us….